The friendly, professional team at McGinn Concrete have been providing domestic and residential concreting services to residents of South East Queensland including Brisbane, Gold Coast, Sunshine Coast, Toowoomba, and Ipswich, since 1988. 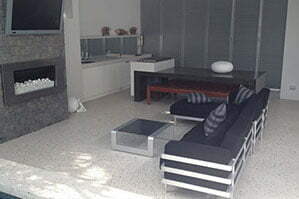 The team aims to exceed customer expectations for all projects from concrete driveways, polished concrete interior floors, landscaping works, footings and foundations, steps and stairs and much more. Our consistency in exceeding customer expectations has earned McGinn Concrete a strong reputation in experience, quality and service delivery. Let the team help you with your next domestic/residential concreting project by viewing and clicking on each service the from list below or contacting the team on 07 3451 7900. 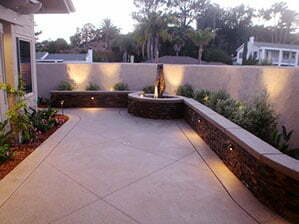 A concrete driveway is a durable, practical and a great feature to any home. To ensure your driveway is properly laid, expansion joints are accurate and concrete poured correctly, contact the professionals at McGinn Concrete for your job. The team can even recommend decorative finishes from exposed aggregates, stenciled, plain or even coloured to enhance the appearance and increase value of your home. 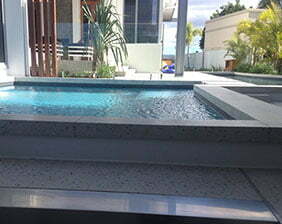 Adding a concrete surface around your pool is a safe and attractive non-slip option for your pool and pool surround. With many colours, aggregates and finishes available, you can create a stunning pool area. 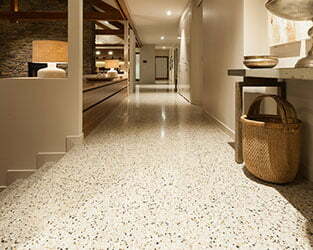 You can also reduce the temperature under your feet by choosing light colours for your concrete. 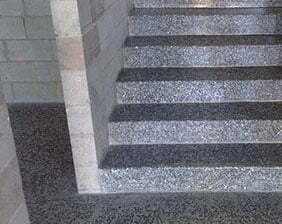 Have a look at our outdoor concreting options here. If you are looking to transform your property with a great garden layout, we can assist you with any of your landscaping concreting needs. From concrete pathways, concrete pavers in all sizes, curved and straight concrete retaining walls and steps, these features are sure to enhance the appearance and atmosphere of your garden. 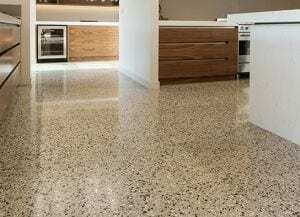 Stunning in look and exceptionally low maintenance, Mcginn concrete specialises in polished concrete solutions for homes. Find out more here.